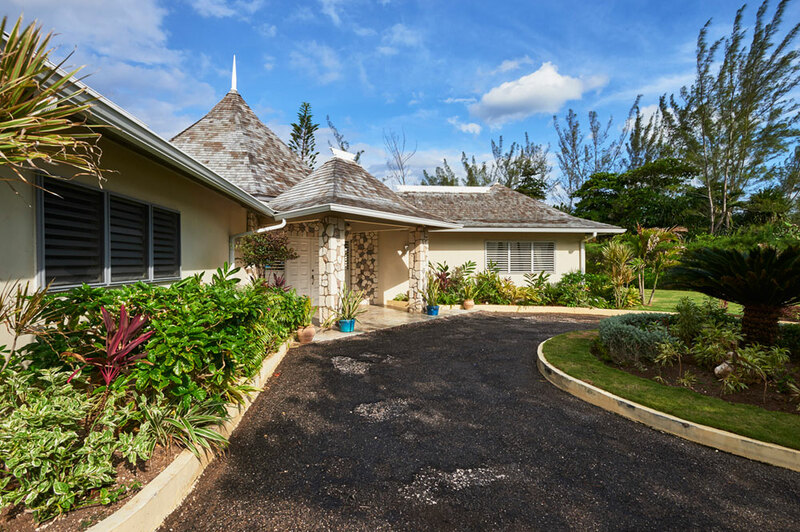 4-bedroom, waterfront villa located in private Mammee Bay Estate. 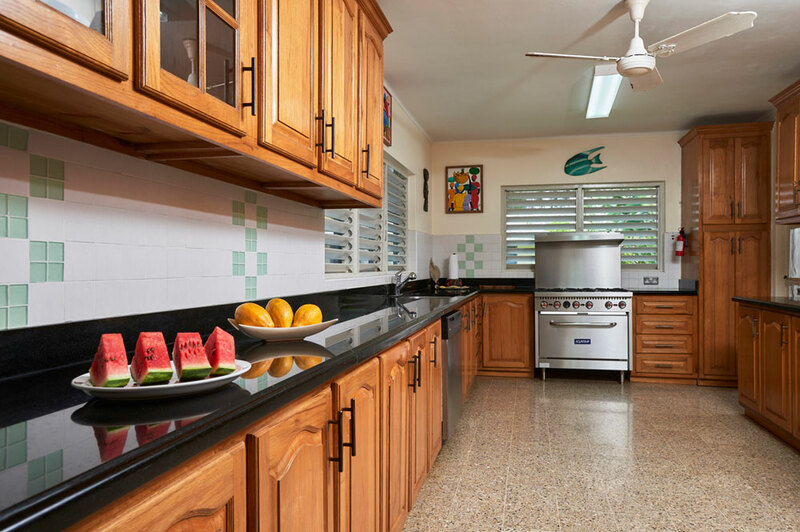 Wether you decompress around the pool and sea all day, take a short walk to the private Mammee Bay Beach or if you like to stay active and site see (Ocho Rios is less than a 10-minute drive away), TERRA NOVA VILLA gives you all the comforts of home with a spectacular view of the Caribbean Sea. The Villa is traditionally styled and has a large combined living and dining area. A bar separates the kitchen from the living room and is the perfect place for pre-dinner drinks. The beautiful living/dining room has stunning Italian marble floors with 27 ft. conical ceiling which leads out to a long covered verandah that overlooks the gardens and private 36 ft., fresh water pool, all of which are set in one acre of private sea front gardens. Meals can be served in the dining area inside that sits eight or on the terrace with views of the pool, the garden and the sea beyond. The covered terrace also offers seating areas. Just beyond the gate, there is a paved walkway that leads to the Caribbean sea. Although access to the sea from the villa is rocky, you are only a short walk down a private lane to Mammee Bay Beach and it’s long, white, sandy, swimmable beach. Guests at this wonderful villa rental have a complimentary membership Mammee Bay Beach club. Bedrooms: 4 large A/C bedrooms with en-suite bathrooms, attached dressing rooms and A/C. 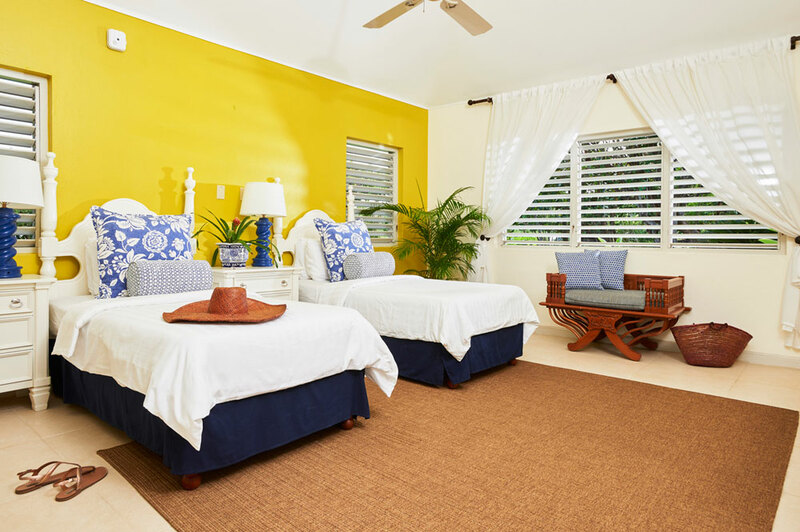 Master Bedroom: King-size 4-poster, bamboo bed, balcony overlooking the sea with the town of Ocho Rios in the background, A/C, ceiling fan, en suite bathroom, linens/towels. Bedroom #2: Two twin beds (can be converted into a king), A/C, ceiling fan, en suite bathroom, linens/towels. On the ground floor across the courtyard from the main house, large picture window with views of the pool and sea. Bedroom #3 Two twin beds (can be converted into a king), A/C, ceiling fan, en suite bathroom, linens/towels. On the ground floor with interior access and connects to a shared courtyard with a sitting area, no sea or garden view. Bedroom #4 King-sized bed, A/C, ceiling fan, en suite bathroom, linens/towels. On the ground floor below the master bedroom, large picture window with views of the pool and sea. This property comes 4-full time experienced staff of cook, housekeeper, laundress and gardener/pool man. Full experienced staff - cook, housekeeper laundress and gardener/pool man.